Nvidia, Nvidia, Nvidia! Why you do this to us? One of the reasons why I upgraded my graphics card to an Nvidia GTX 970 was because I wanted to try SLI. Nvidia SLI support is known to be better than AMD Crossfire and GTX 970's supposedly low power consumption would make them fit in my small chassis. In this article I'm going to talk about how well my decision has turned out to be. Firstly, I tested how two of these cards would work together in SLI. I got this opportunity because one of the cards I originally bought have a lot of coil whine, and Amazon sent me a second card add a replacement. I had a lot of time to and the defective card do I used that time for my advantage. While there were definite temperature related issues with two MSI GTX 970 Gaming cards almost touching each other (I later found out that the second card had a even bigger issue where the second fan on it would not spin up at all), I was even more disappointed to find how bad the driver support for SLI was. Both Call of Duty Advanced Warfare and Far Cry 4 misbehaved and were unplayable without disabling the second card. Additionally, even though Crysis 3 had amazing FPS, it wasn't that smooth. While I'm sure these game specific issues - not sure about Crysis though, as it is quite old - will be ironed out eventually, I felt that, in reality, Nvidia was no better than AMD. The green side wasn't as green as I wanted it to be. Read more about that experience here. When I said I wanted to switch to Android, what I really meant was that I wanted to switch to Lollipop. Unfortunately, the Nexus 5 which I bought only came with Android 4.4.3. Still, being a Nexus, I thought that it was just a matter of hitting that update button once I got back home. So the first thing I did after connecting the phone to the Wi-Fi network at home was checking if Lollipop update was there. There was an update alright, but it wasn't Lollipop. It was 4.4.4, a minor update over what it already had. I was disappointed at first, but I thought maybe it will show up if I updated to this version. So I updated to 4.4.4 but that was indeed the latest version available for the phone. I've seen people with Nexus 5S running Lollipop - in fact the sales staff person showed me his phone running Lollipop - so I thought I might have done something wrong. It was time to hit the internet. According to the information available on the internet, Google was rolling the Lollipop update out gradually for the Nexus 5 users, possibly to keep sever load in check. Probably because my device was only just activated, it must have been pushed to the end of the queue. I played the patient game for a few days, but there's so long one could wait. I finally gave in and looked for alternatives. 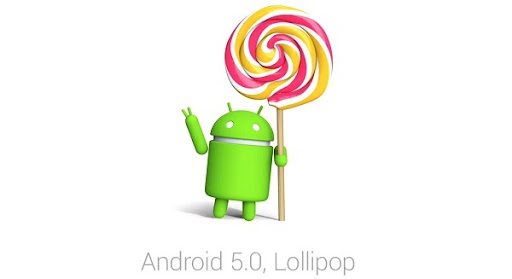 Although the over the air update was still due, it seemed that you could manually update to Lollipop. With iOS, updating the OS manually is a walk in the park. But that's not the case with Android. Knowing how to update is just one part of the story. You also need to know how to recover from an error. Again, iOS was way superior in that regard. I took the afternoon off on the 16th because we had to go to the immigration office to extend my wife's VISA. It didn't take too long and we didn't have much to do on that evening. By the way, I had received the call from BicCamera informing that the gift vouchers we were supposed to receive when we switched from Softbank to AU were ready for pickup. So we went to Kawasaki and there we decided to switch to Y-Mobile at the same time. We received the gift vouchers, 40 of them each worth JPY 1,000. Now I have to find a way to use them or even better, cash them. So I went to a Y-Mobile staff person and told him that we were planning to switch to their network. Well, it would be Softbank again as Y-Mobile uses Softbank's network. And we decided to go with the Nexus 5 even though I was drooling for the 6-incher. We decided to go with the black one for me and the white one for my wife. We spent many hours at BicCamera but we were met with a failure. For some reason, registration on the Softbank network failed. The reason given to us was that the number of lines that I own on the Softbank network have exceeded the maximum allowed. That's outrageous because I don't have any Softbank lines under my name. Of course I had two lines a month ago and for one of them I still have to pay the remaining balance of the iPhone 5S. Could it be that? Everything will be settled by next month, so all I have to do is to wait another month. However, I don't want to wait another month because it would incur an additional JPY 4,000 because I will have to pay the higher monthly bill of AU one extra month. Even though at first I whole heartily welcomed Apple adding a lot of features to iOS 8, I soon realized how much of a blow that was to the reliability of iOS. Despite Apple releasing many updates to fix the issues, there are many issues that haven't been addressed. Those are only the ones that I can remember. I have never encountered this many problems in iOS before. Unfortunately with the iPhone you cannot downgrade so I'm stuck with these issues until Apple does something about it. However they are late...intolerably late and I cannot wait any longer. Thus I've decided to take things in to my hands. That means switching camps. I am finally going to switch to Android. I'm not completely sure that this would improve the situation as Android might have larger issues, but with the release of Lollipop or Android 5.0, it appears that Android is finally good enough. That's not to say that there is no learning curve and it probably would be quite steep for my wife but she is willing to adapt. While switching to Android isn't that difficult, I am after the best possible Android experience in a carrier unlocked phone. That means getting a Google Nexus Phone with Android Lollipop. However, Softbank, my current carrier doesn't offer Nexus devices. Luckily there is one carrier, Y-mobile, that does. So I have to switch carriers to become a Nexus owner.